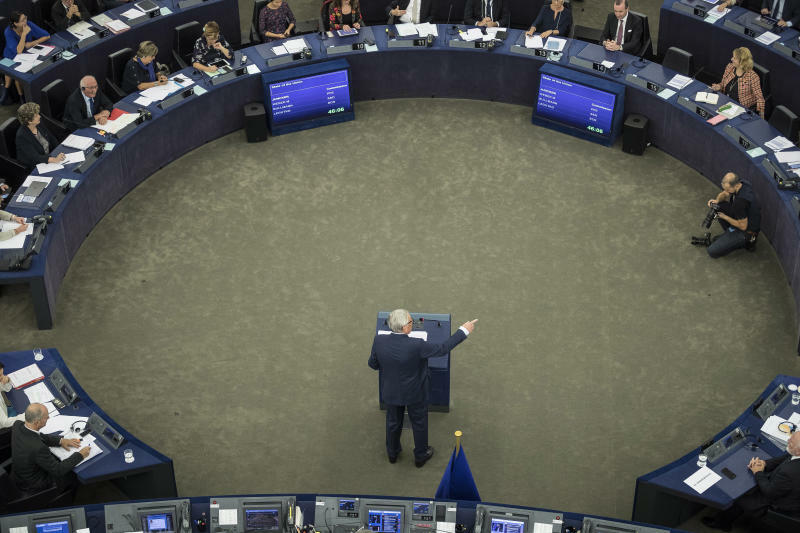 BRUSSELS (AP) -- European Commission President Jean-Claude Juncker says he'll unveil plans this year to boost the euro's role in financial markets, which are dominated by the dollar. Juncker said Wednesday that "we have to do more so that our single currency can fully play its role on the international stage." He said "it is absurd that Europe pays for 80 percent of its energy import bill - worth 300 billion euros a year - in U.S. dollars when only roughly 2 percent of our energy imports come from the United States. It is absurd, ridiculous, that European companies buy European planes in dollars instead of euro. All this must change." Juncker said that before year's end his "Commission will present initiatives to strengthen the international role of the euro."